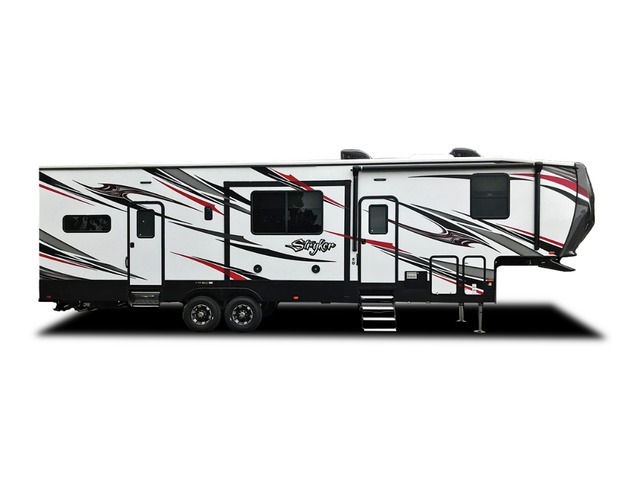 Stryker is Cruiser RV's all new toy hauler for the true enthusiast, featuring the most user-inspired features in the lightweight market. Our product managers have years of experience racing motocross and dessert excursions. This practical experience guided our development of something that is extremely functional for all markets, especially for the west coast and desert racing. Dry Weight 11,506 lbs Hitch Weight 2,880 lbs Overall Length 35' 3"
Dry Weight 13,072 lbs Hitch Weight 3,390 lbs Overall Length 40' 2" Overall Length 40' 2"
Dry Weight 13,116 lbs Hitch Weight 3,380 lbs Overall Length 39' 1"
Dry Weight 13,804 lbs Pin Weight 3,530 lbs Overall Length 42' 0"